Striking style. Greater power. More advanced technology. An aggressive body style, a 2.0-liter turbocharged engine delivering 241 horsepower,1 a 7.3-second 0–60 time,1,2 and eight-speed Sport Direct-Shift transmission with paddle shifters and downshift throttleblipping. Rear-wheel drive. 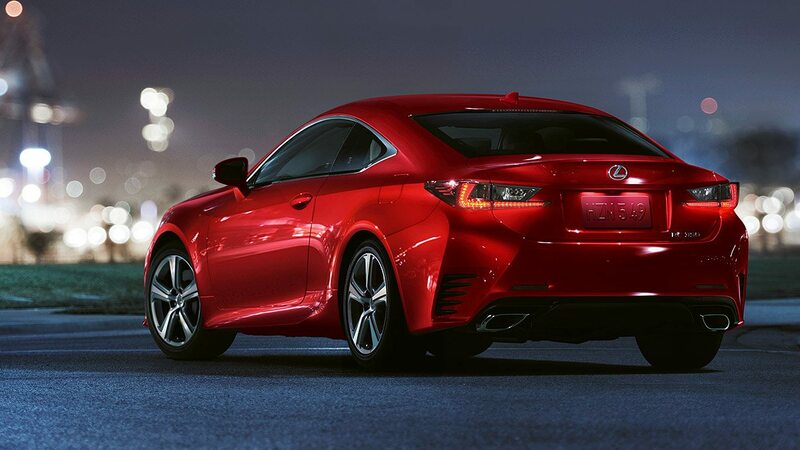 Each model can be taken to the next level with more aggressive styling, plus a more dynamic F SPORT–tuned Adaptive Variable Suspension and an exclusively available limited-slip rear differential (RWD). 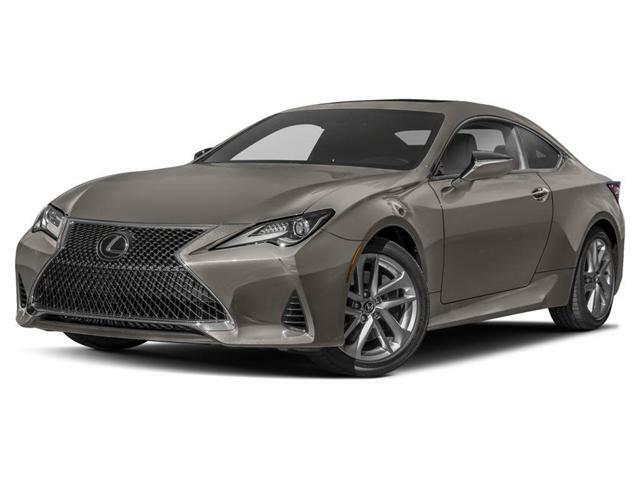 Additional upgrades include front sport seats with enhanced bolsters, LFA-inspired instrumentation and 19-inch alloy wheels. A low profile and sleek, sculpted lines create double-take-worthy style.With its muscular form and aggressive stance, the RC seamlessly balances eye-catching design with breathtaking performance. 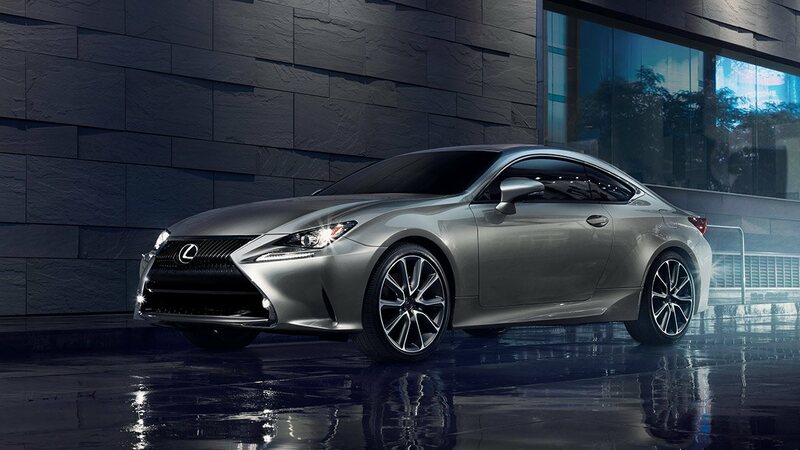 In front, the signature spindle grille and available Premium Triple-Beam LED headlamps announce its arrival. From meticulous stitching to exclusive wood trim, the RC delivers an ideal combination of performance and luxury.While every bit a performance cockpit, the interior of the RC envelops the driver and passengers with craftsmanship. Available perforated leather trim epitomizes distinctive style and sophistication, while Linear Espresso and Linear Dark Mocha wood accents offer unparalleled artistry. Individual settings for climate control allow the driver and front passenger to adjust their preferred temperatures. 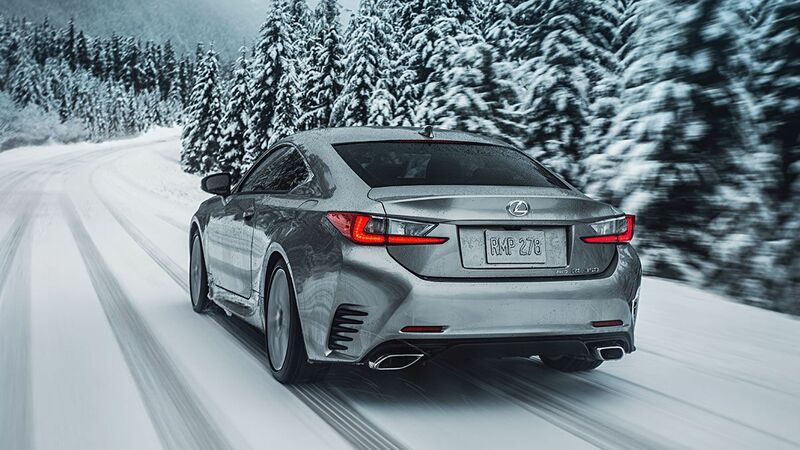 With more power, available all-wheel drive and an eight-speed transmission with paddle shifters, raw performance is in your hands. 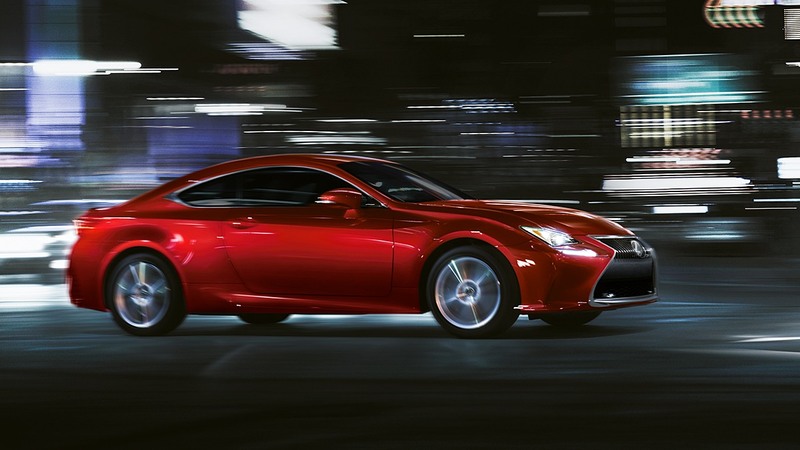 From the turbocharged RC 300 to high-performance F SPORT models, the RC puts responsiveness at your fingertips. 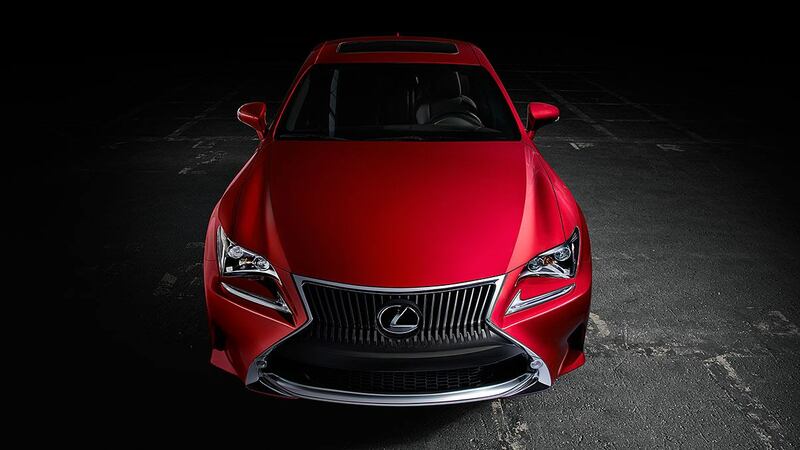 In the V6-powered RC 300 AWD and RC 350, power has been increased, giving them peak output of 260 and 311 horsepower,1 respectively. A highly rigid platform, double-wishbone front suspension design and multilink rear suspension provide crisp turn-in and poise through curves. An Adaptive Variable Suspension further sharpens the F SPORT’s agility, to deliver handling that’s as dynamic as its styling. 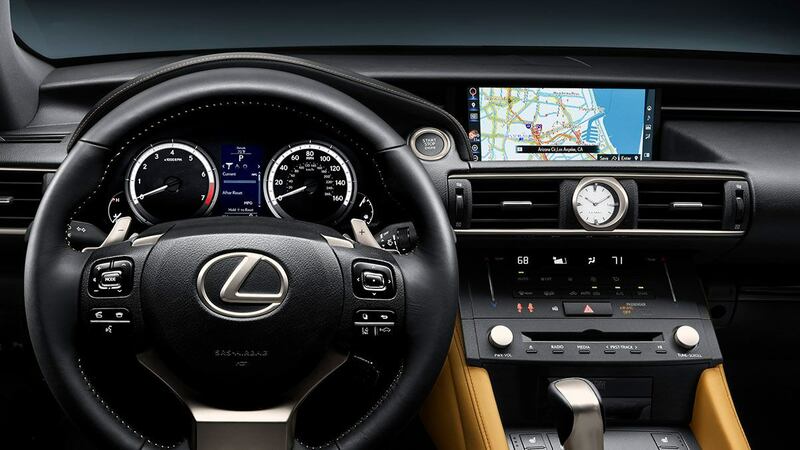 Lexus connected technologies introduce a whole new realm of possibilities, starting with onboard Wi-Fi.6 Available features like the expanded Remote Touchpad7 and larger, 10.3-inch multifunction screen provide access to audio and climate controls and various systems, including the next-generation voice-activated Navigation System.8 And with available Lexus Enform Remote,9 you can start your vehicle to heat or cool the cabin to its last settings, and much more. With the ability to recognize millions more phrases than conventional voice-recognition systems, available Dynamic Voice Command13 offers greater accuracy, seamless address entry, and expanded points-of-interest searches. It also allows you to place compatible Bluetooth ®-enabled14 phone calls, and operate climate, audio and navigation functions using even more natural speech. If you say “It’s too hot in here,” for example, the climate control will automatically lower the temperature by four degrees. The new, available 10.3-inch high-resolution split-screen multimedia display provides immediate, simultaneous access to audio and climate controls and various systems, including the voice-activated Navigation System.8 On vehicles with the standard multimedia display, next-generation Scout ® GPS Link10,11 introduces 3D functionality and moving maps. Driving instructions are provided turn by turn, with search features easily accessible via voice commands or the multimedia display. With subscription-free traffic and weather updates,12 getting to your destination is easier than ever. 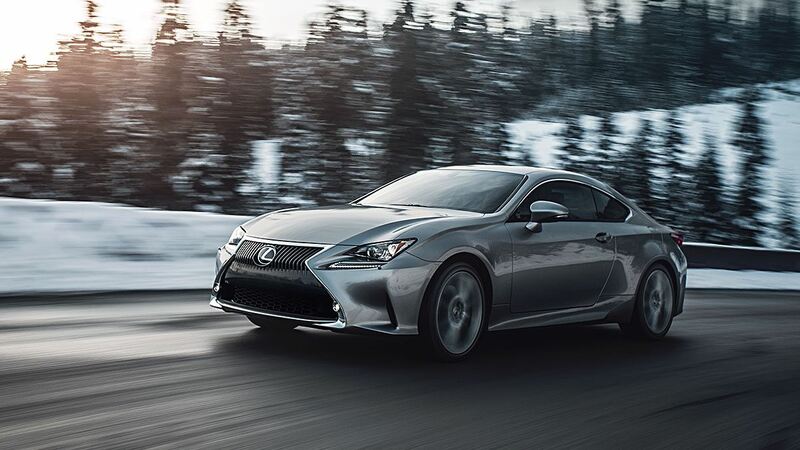 Class-exclusive available Lexus Dynamic Handling coordinates steering at the front and rear of the vehicle and elevates the RC 350 F SPORT (RWD) to another level. Variable Gear-Ratio Steering optimizes the front steering ratio to sharpen vehicle handling and control. And Dynamic Rear Steering adjusts the angle of the rear wheels by up to two degrees to help provide optimal agility and stability.